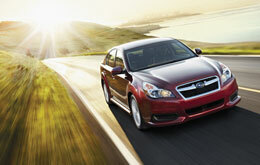 We encourage you to scroll past the YouTube video located below to read a full review of the 2013 Subaru Legacy. We take our responsibility to serve the most exceptional reviews composed by Subaru automotive writers - it's just another thing that makes us the well-known Subaru dealer in Kansas City. We're your Subaru Legacy dealer; this article will help you learn everything you need to know about the Subaru Legacy in Kansas City. Don't wait any longer - get started on your research! Compare the 2013 Subaru Legacy head-to-head with vehicles like the 2013 Honda Accord, Ford Fusion and the Chevrolet Malibu, and you'll catch that the Legacy scores higher the competition in several areas. Look over our Quick List below to find out why! Get a no-charge warranty on repairs - plus access to trustworthy Subaru parts and exceptional Subaru technicians - at your well-known Kansas City area Subaru repair center. The professionals at our Missouri Subaru service center can be trusted to keep your Legacy in top working order for years to come. In addition to more time consuming services like engine maintenance, we work on less intricate stuff like tire alignment and mends - and this is merely a fraction of what we handle. Also come see us for fuel filter replacement, snappy oil changes and more. It's very simple - to get reasonable prices and professionals Subaru repairs, Van Subaru should be your number one choice when selecting a Kansas City auto center. 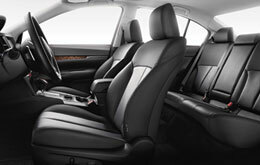 Click the following link to find unbelievable service specials now!